Black Obsidian Energy Generator This can be used in many ways. The central pyramid amplifies the four other crystals sending the energy in each direction and through its apex. 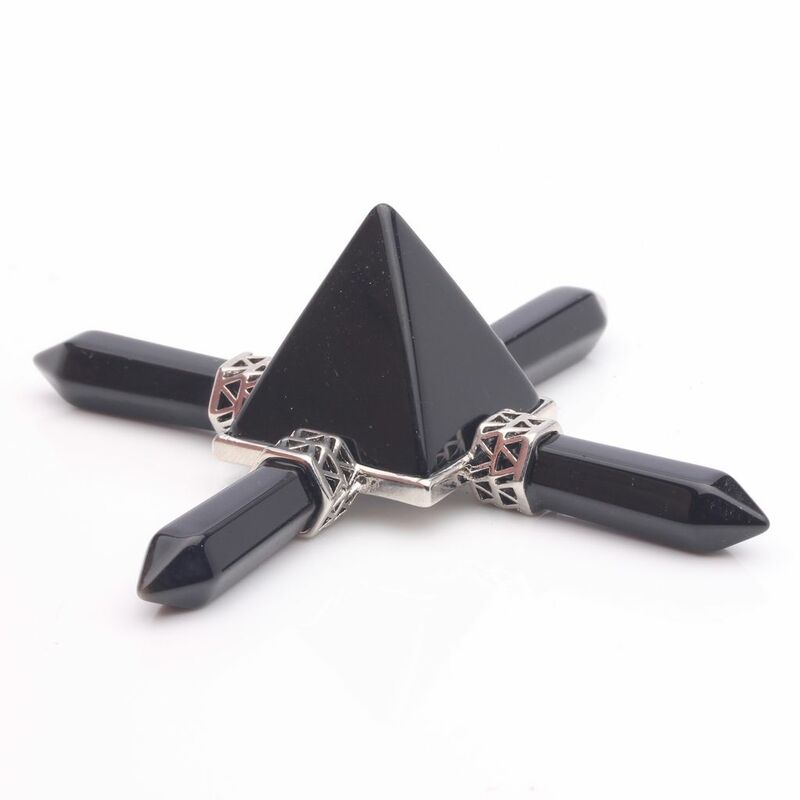 Black Obsidian is a very powerful and fast acting crystal, and should be used with caution for Crystal Healing. It can bring up negative emotions and unpleasant truths to the surface, which have to be tackled before peace can return. Many people find Obsidian’s effects overwhelming and prefer to use a gentler stone.Black Obsidian is a very protective stone. 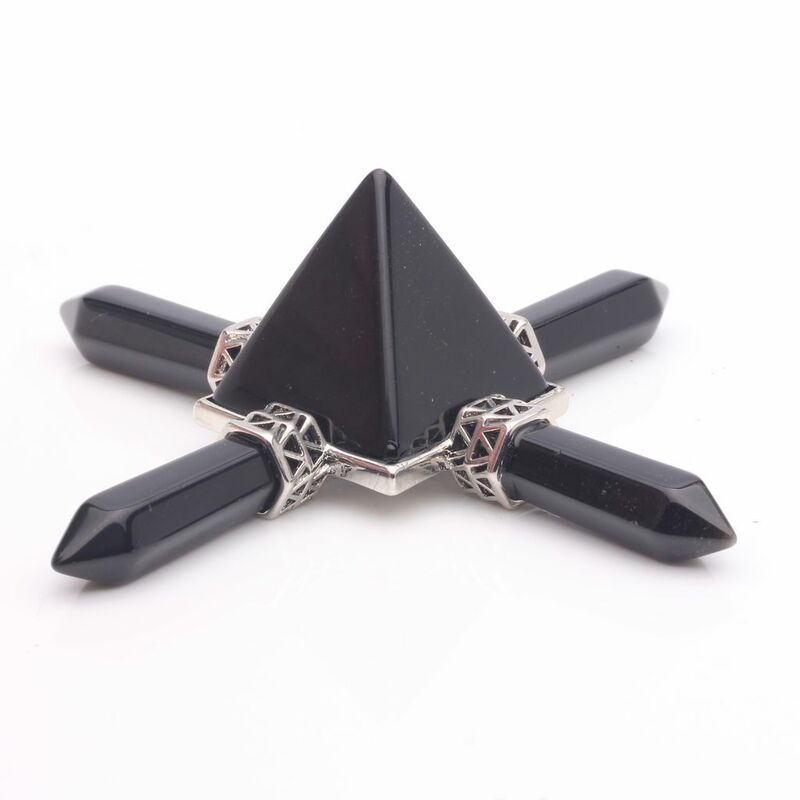 It is said to form a shield against negativity and to absorb negative energies from the environment. It should be cleansed regularly in running water.